It is of medical grade and completely odourless, fumeless and waterproof. It has a high grade of flexibility, which extends the lifetime of the extension up to more than 2 months. The glue doesn’t cause any skin irritation, even when applying on clients’ sensitive eyelashes. The primary ingredient is the same substance used for closing wounds without the use of stitches. 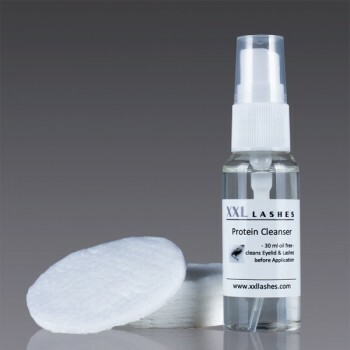 This glue is specifically designed for intermediate Eyelash Extension Professionals. The grab time of it is perfectly balanced. On the eyelashes it dries in a few seconds, but as a drop in your adhesive cup it is easy to use within 2 hours without drying. The Lashes Professional has enough time to make any minor adjustments that may need to be made. 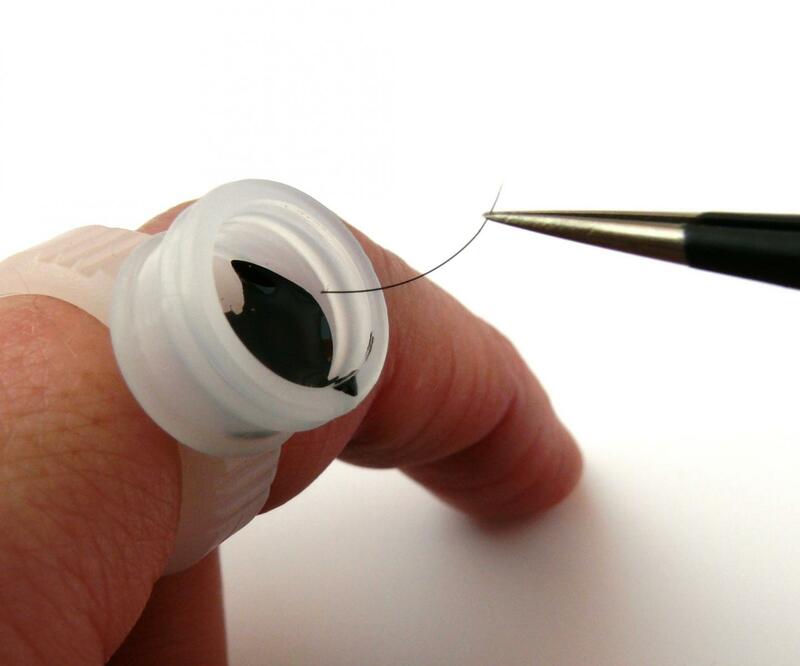 We recommend using the adhesive in a ring holder, because then the flexibility of the liquid lasts longer. But of course you can use it as well on a jade stone or glass plate. The Adhesive has an optimal shelf life of 4—6 months. It is recommended keeping the glue in a cool place for a longer storage life. If glue is kept in a refrigerator, it is required to be left out for about 1 hours before usage. Once opened we guarantee the adhesive for 3 months, but do not refrigerate any more, store tightly closed in a cool, dry place. 5 ml glossy, black XXL Lashes Adhesive last for more than 100 applications. The retail value is in between 70 and 90 EUR. 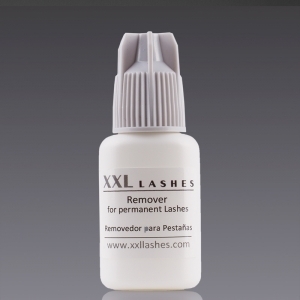 XXL Lashes Adhesive is also available in clear color. This glue is for licensed or certified professionals in the beauty or medical industry use. 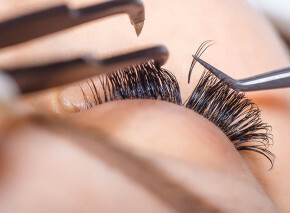 Proper training from an Eyelash Extension Professional is highly recommended; do not apply this product on your own. To avoid allergic reactions, a patch test should be carried out 1—2 days before the application. If contact with eyes, flush with saline solution for 10 minutes. Consult a physician immediately.